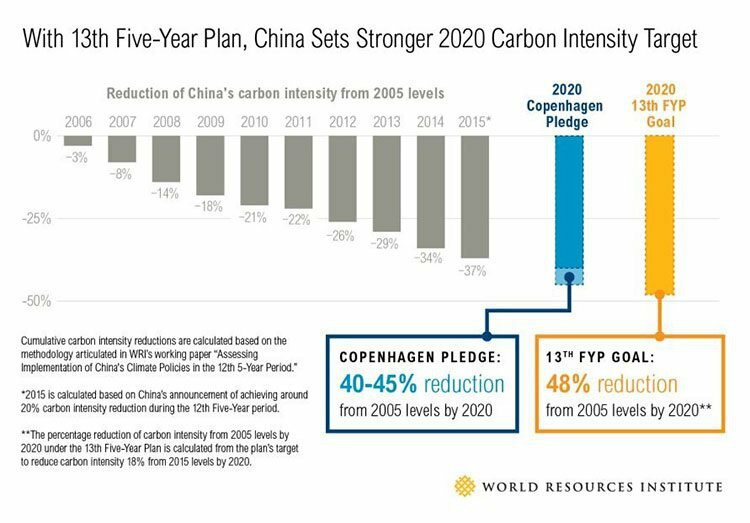 The world is changing — rapidly shifting from a reliance on fossil fuels to low carbon energy sources, electric vehicles and wind power. One little known metal essential in the production of electric cars is the rare earth metal, dysprosium – which is used to create the permanent magnets these vehicles rely on. Permanent magnets account for 25% of rare earth demand in tonnes and 80% in value. Dysprosium is essential because it enhances a permanent magnets properties at higher temperatures – and it’s used by all major electric vehicle and wind turbine makers. Dysprosium is currently produced almost entirely within China, which is good for Chinese car manufacturers as they are likely to dominate EV production in the coming years. Notably, EV sales are expected to grow from 1.2 million in 2015 to 20 million globally by 2020. The material is so rare that China is stockpiling dysprosium, withholding it from the export market to shore up its cleaner, battery-powered future. 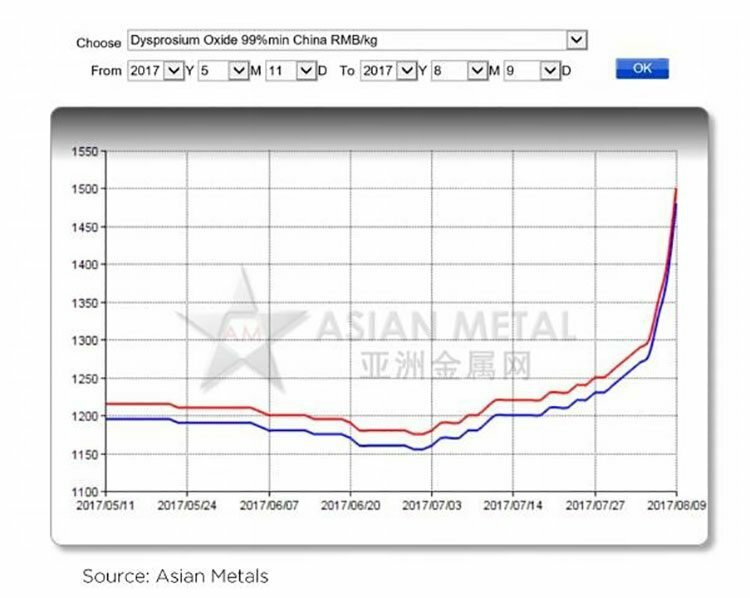 And with China enforcing a crackdown on illegal mining , supply will be further impacted with the dysprosium oxide price already increasing 23% to RMB 1500kg in recent weeks. Well, at least not within its Browns Range Project that straddles the Western Australia and Northern Territory border. NTU is developing the Browns Range Project to be the first significant world producer of dysprosium outside of China, firstly via a pilot plant, and then progressively scaling up to full development. However, backing a speculative mining company means there is no guarantee of success here, so seek professional financial advice if considering this stock for your portfolio. 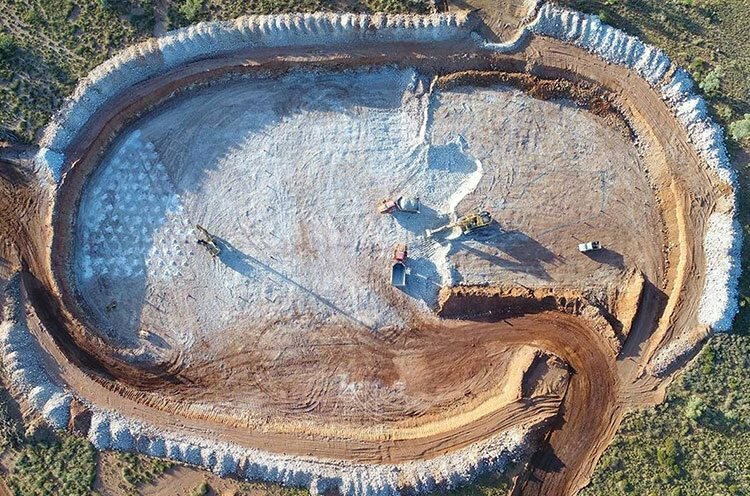 With the pilot plant tracking well and $56 million pocketed in funding for its development, the company is ultimately building up to a full scale 585,000 tpa operation, with an initial 11 year mine life. NTU began mining in June and the three-year pilot plant project will commence production of heavy rare earth carbonate in mid-2018. The Browns Range Pilot Plant is an opportunity for NTU to gain production experience and to assess the feasibility of a larger full-scale development in a sustainable and achievable way. Of late, NTU has been busy smashing milestone after milestone: here is a company that is already mining and fabricating the pilot plant. Mining and bulk earthworks are continuing on site with mining occurring at both the Gambit West and Wolverine deposits within Browns Range. A key focus of these works includes finalising the airstrip and completing the Tailings Storage Facility and evaporation pond. 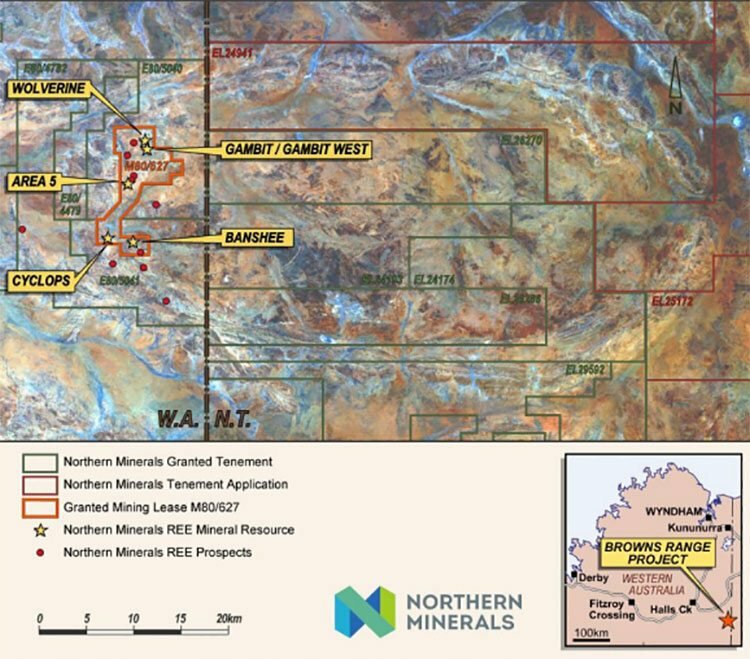 NTU is ticking off the proverbial checklist bit by bit on its way to becoming Australia’s only heavy rare earths mine... and the only significant producer of dysprosium outside of China. We last caught up with NTU in October last year , back when the company was gradually progressing towards development. NTU has since been riding a considerable wave of activity, and is now in production of the first mine outside China to recover heavy rare earth metals. NTU’s focus is dysprosium and here’s a look at why this rare earth is so important to global growth. NTU plans to produce 1,700 tonnes of total rare earth oxide in a mixed carbonate over a three-year period. The 72,000 tonnes per annum pilot plant is expected to begin first production of heavy rare earth carbonate in mid-2018. What is also worth pointing out is the size of another rare earth metal miner – Lynas Corporation (ASX: LYC). LYC’s Mt Weld mine is predominantly light rare earths – which sell for much less on world markets. Regardless, LYC is currently capped at over $700M. NTU is currently capped at just $105.5M, and will be mining the more valuable heavy rare earths – with the only mine outside of China. The near term focus is the finalisation of the site installation contract and planning for mobilisation of the site installation contractor, Primero to begin concrete works. A significant confidence boost also comes by way of NTU negotiating an important offtake agreement with a vertically integrated Chinese rare earths business, Lianyugang Zeyu New Materials Sales Co Ltd (JFMAG). This sales agreement covers all plant production from the Browns Range pilot plant. 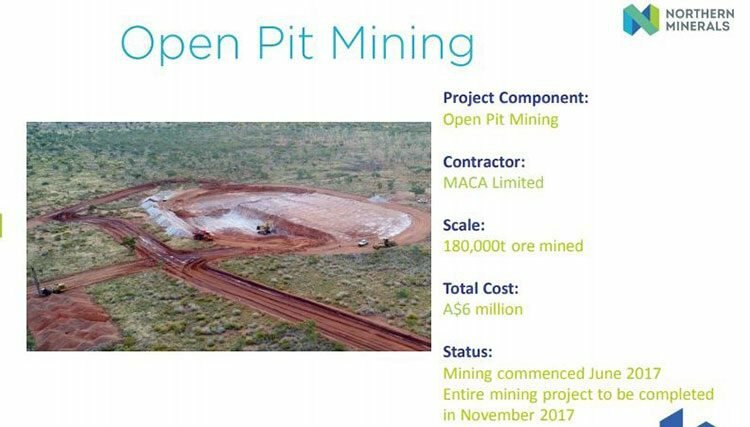 Another item of shareholder reassurance lies in the fact that under a mining and bulk earthwork contract awarded to MACA Ltd (ASX: MLD), MACA will mine 180,000 tonnes of ore and associated waste from the Wolverine and Gambit West pits at Browns Range. The waste material will be used to construct a tailings storage facility and other infrastructure at the site. MACA mobilised equipment and personnel to site in June and has commenced works. NTU has also secured a total of $56 million in funding for development and construction of its pilot plant project, including $29.5 million through placements. 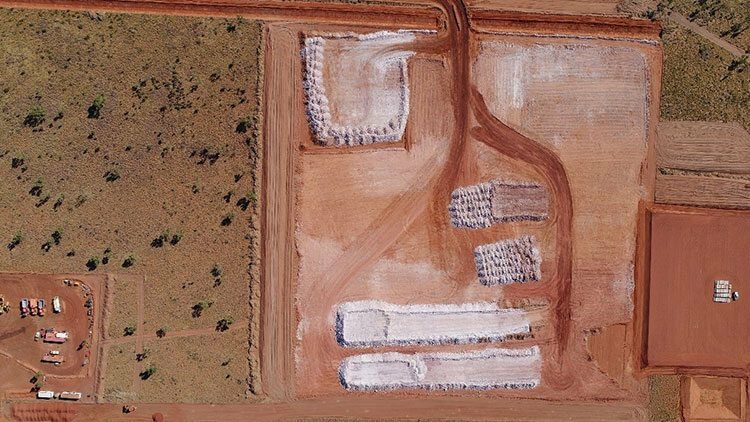 Located 160 kilometres south-east of Halls Creek in northern Western Australia, the Browns Range Pilot Plant Project is a highly prospective site with a great deal of upside in previously undiscovered areas. The three-year pilot plant project will begin first production of heavy rare earth carbonate in mid-2018, with production from the pilot plant representing about 10% of the mine’s proposed output. As production is yet to occur, and as with all large mines, seek professional financial advice and take into account all available information, not just what is in this article, before making an investment decision. The Browns Range project spans an area of about 3,595 square kilometres and centres on the Browns Range Dome, a major geological feature covering around 1,500 square kilometres and stretching 60km x 30km. Most of this hasn’t been comprehensively explored yet. The dome is situated on the WA/NT border, in the northern Tanami region, and is highly prospective for heavy rare earth (HRE) mineralisation. In fact, NTU has seen remarkable success to date, with six of 13 targets converting into mineral resources. NTU has increased the Browns Range JORC-compliant Mineral Resource fivefold since 2012, with the estimate now at 4,759t dysprosium, within 56,663t TREO (total rare earth oxides). 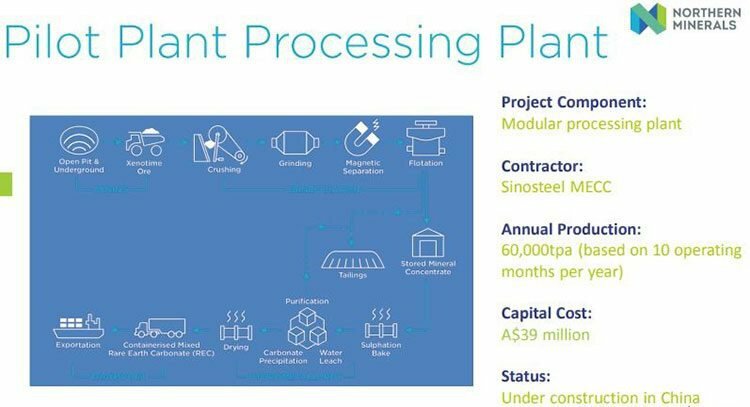 The pilot plant will have a front end of a 72,000tpa crushing beneficiation circuit, and a 4,000tpa hydrometallurgical plant designed to produce 570 tonnes of total rare earth oxide (TREO) in a mixed rare earth (RE) carbonate. The pilot plant will help NTU continue to assess the economic and technical feasibility of a larger full-scale development. These determining factors will be incorporated into an updated feasibility study for the proposed full-scale operation. The pilot plant project will also demonstrate NTU’s ability to deliver to the market in line with the JORC Resources so far identified. Even some smaller initial wins will go a long way at a time like this, where NTU has the holdings, crucial partnerships, and cash, but is not quite yet in production. NTU has been granted $4.8 million funding from the Federal Government’s Building Better Regions Fund, to develop an Aboriginal training-to-work program at Browns Range. The money will contribute towards the $8.1 million total cost of the project, including the establishment of economic infrastructure. This is an important step for NTU as it looks to deliver up to 400 construction jobs and 300 operation jobs over the 11-year life of mine. There is a lot at stake here, as if the pilot plant development is successful, NTU will become the first significant world producer of dysprosium outside of China. 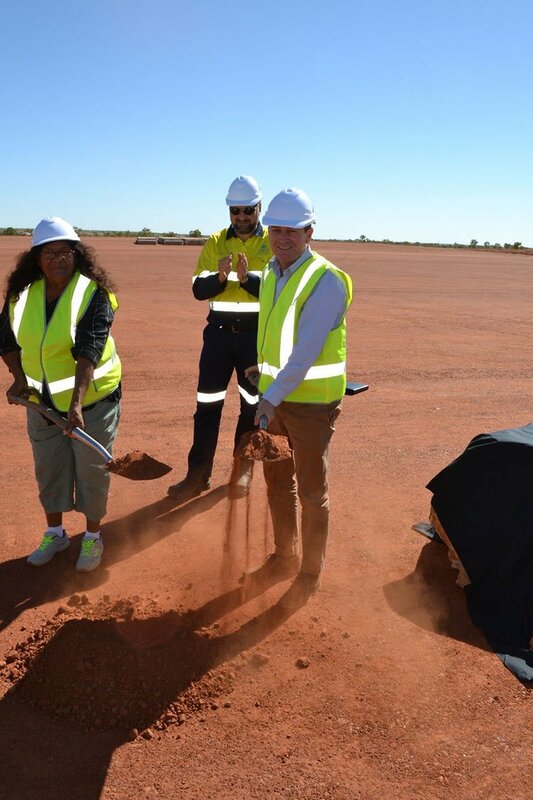 Consequently, this venture has seen considerable media coverage on Browns Range, attracted to the rarity of an Australian heavy rare earths mine. The next steps for NTU are full construction of the project, establishing a high-functioning team, and ramping up a largescale processing plant, some of which is happening as we speak. And it should fall nicely in line with the growing global demand for permanent magnet materials. As the Browns Range project continues to heat up, it could bring with it some nice catalysts for share price growth in the near future – and hopefully it can start to emulate the Lynas Corp growth trajectory over the coming years. If you’ve been paying any attention to the ASX for the last twelve months you’ll be aware that lithium has really been hogging the mining limelight. The catalyst for lithium’s surge in popularity (and price) is the rising demand for electric cars, and other battery powered devices we need to replace higher carbon energy sources. Emerging green technologies have become all but synonymous with electric cars, with motor vehicles being an enormous contributor to carbon emissions worldwide. But how does this fit into what NTU are doing? Well its all to do with Dysprosium – a metal used to create the permanent magnets these vehicles rely on. Every electric vehicle will need a bit of dysprosium in their battery – and NTU can help supply it. This explains why the Dysprosium Oxide price (99% min) has increased from RMB 1250/kg to RMB 1500kg, an increase of 20%. Yet commodity prices do fluctuate and caution should be applied to any investment decision here and not be based on prices alone. Seek professional financial advice before choosing to invest. Add to that the fact that dysprosium is on the US Department of Energy’s list of materials used in clean energy technologies for which there is a supply risk. According to a research report from Grand View research, the ‘permanent magnet’ market is set to grow by 9.7% annually from 2014 to 2020. By 2018, it’s predicted to be worth $18 billion . Currently, permanent magnets account for about 80% of the value of all rare earth demand. 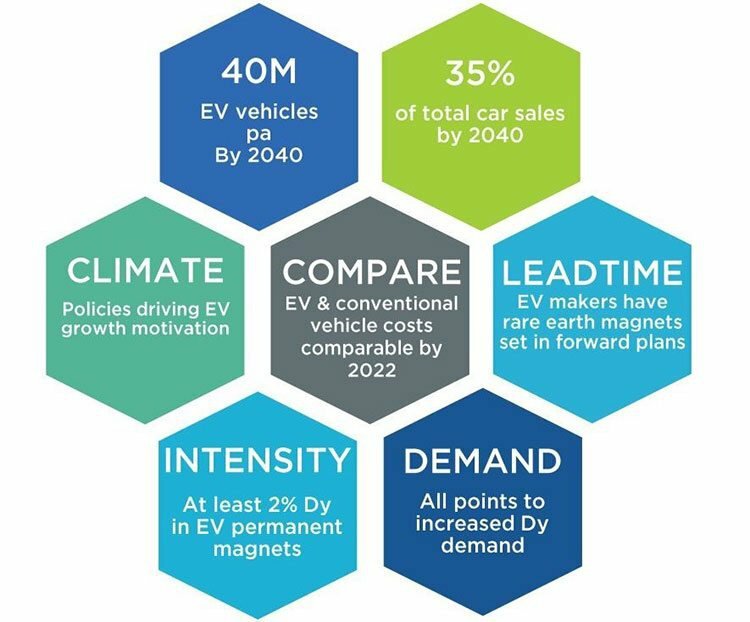 Yet within ten years, electric cars are expected to make up one-quarter of the global car market , with numbers predicted to grow from around one million to 25 million by 2025. With that in mind, demand within the permanent magnet market is set to further increase. You might be wondering with the reliance on such rare and highly-priced HREs, whether an alternative has been explored. The short answer is yes, but by most accounts the commercialisation of any viable alternatives is still many years off. That leaves a lot of time to profit from the growing need for permanent magnets. And it’s not just electric cars, either. Wind turbines, ‘halide discharge’ lamps, electronics, nuclear reactor rods and airplanes also factor in here. It seems rare earths are making a big splash when it comes to aiding the transition to lower emission energy sources, led by demand for dysprosium. What else is NTU holding? The company has two other holdings up its sleeve, at earlier stages of development than its key Browns Range project – John Galt and Boulder Ridge projects. 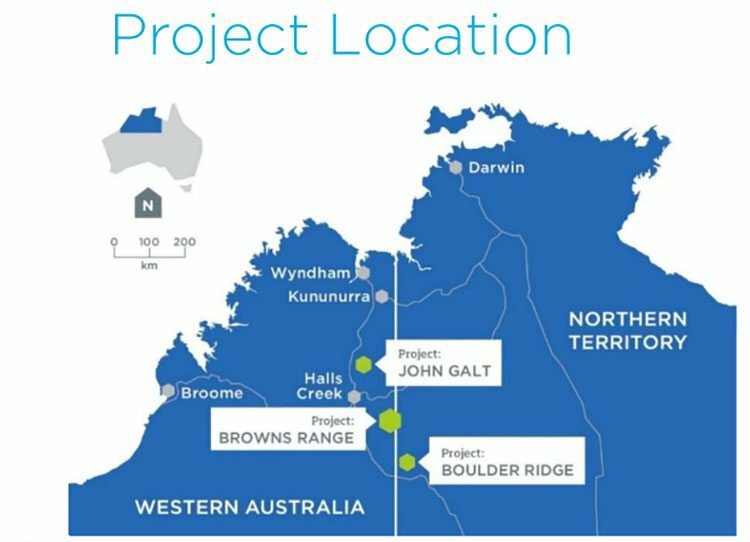 The 100% owned John Galt project covers a combined area of 177 square kilometres in the East Kimberley region of WA. Since 2010, NTU has completed in-depth analysis on historical data, which shows a high proportion of high value HREs (average of 94% of TREO) – including an average of 9% dysprosium of TREO. Preliminary metallurgical tests indicate excellent recovery rates (more than 90%) with potential for concentrate grades of more than 40%. The company’s Boulder Ridge tenement is 100% owned, located in the Tanami region of NT, and is contiguous with the Browns Range HRE tenements. Exploration in the 1970s and 1980s has identified high grades of total rare earth oxides (TREO) from rock chip samples. Best results exceed 12% TREO, including up to 1.15% dysprosium. 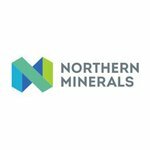 Further efforts by NTU at Boulder Ridge will focus on drill testing the initial targets as well as defining new drill targets. NTU’s main play at Browns Range has been rated ‘best in class’ on both grade and quantity. Some estimates suggest this project’s mining life could max out at 100+ years on the back of the company’s findings thus far. With what could become Australia’s only heavy rare earths mine, the future looking increasingly dysprosium-friendly, and highly prospective holdings on home soil... it’s hard to see many bumps on the road ahead for this Australian first.